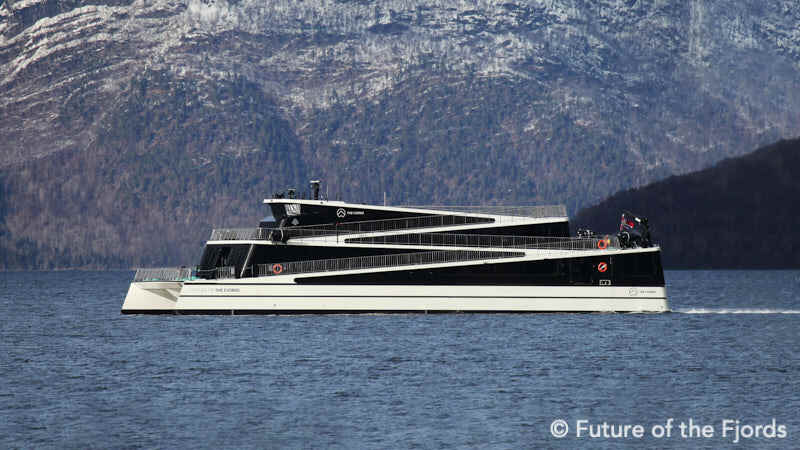 The Norwegian parliament has decreed that the country’s UNESCO-protected fjords shall be free from cruise and ferry emissions no later than 2026. The measures cover emissions to air, discharge of grey and black water, and visible plume from the funnel. DNV GL spoke with State Secretary Atle Hamar in the Ministry of Climate and Environment to explore the thinking behind the order, and gain insights on how they plan to achieve this highly ambitious goal. 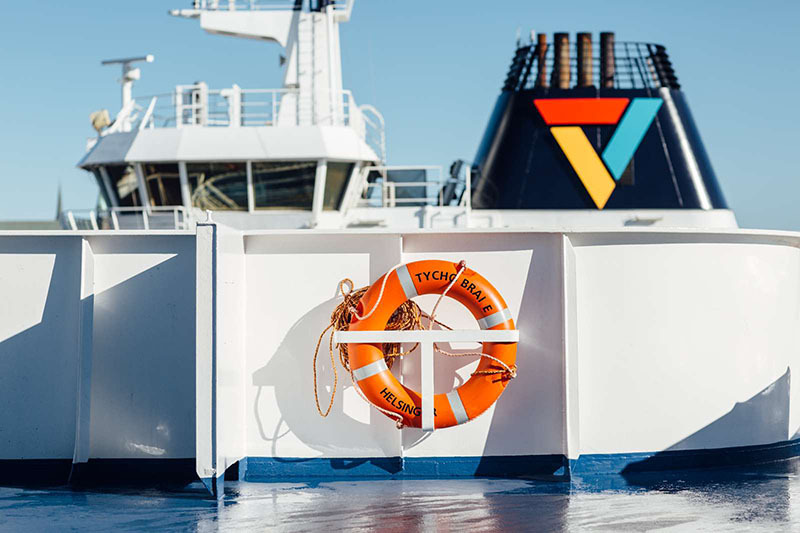 All thrusters on Scandlines’ four hybrid ferries on the route between Puttgarden and Rødby will be exchanged with new thrusters that allow a homogenous water flow, which gives less noise and vibration. The exchange lessens the environmental impact significantly. Reduced underwater noise and less vibration can improve the conditions for the marine life in the Fehmarn Belt area – among these the harbour porpoises. Furthermore, easier water flow during propulsion ultimately reduces emissions, including CO2. The total investment in the new thrusters is more than 13 million EUR. The first ferry will have its thrusters exchanged in the autumn of 2019 and all ferries will be equipped with the new thrusters in 2020. The 16 new thrusters will be delivered by Rolls-Royce Commercial Marine, together with a new automation and control system for each ship. The Court of Justice of the European Union (CJEU) has cancelled the approval of the Fehmarn connection’s financing model, which was forced through by the EU Commission in 2015. Without an approved financing model for the Fehmarn tunnel, the project has practically come to a stop. 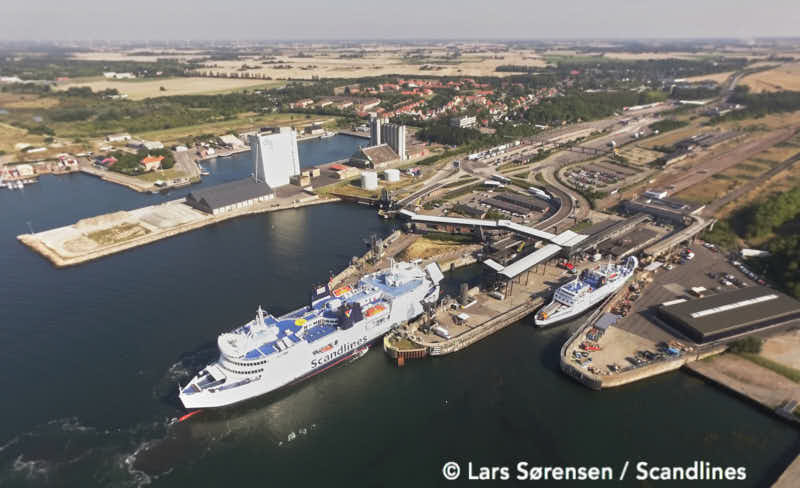 Helsingborg and Helsingør exceeded the number of trucks choosing the fixed connection between Malmö and Copenhagen for the first time. – Passengers 1.89 million (1.94 million). 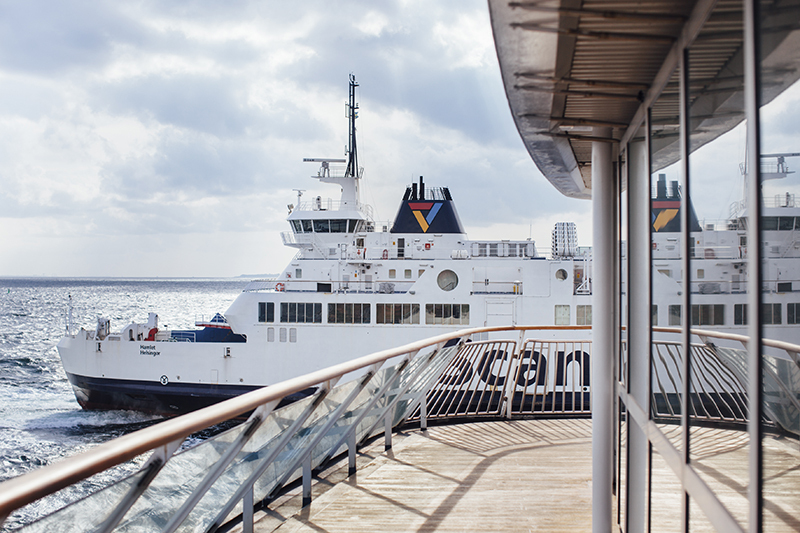 E-Dea, the Italian IT provider of integrated software solutions for Ferry Companies, Ports and Terminals, has provided Scandlines with their flagship product, eBooking©, as part of the centralized and integrated passenger Reservation System. The fully integrated reservation system supports Scandlines core processes including scheduling, products configuration, pricelist configuration, special offers, packages, etc. Thanks to its straightforward design, the system allows Scandlines to properly manage special offers and flexible prices to maximize seasonable revenue. 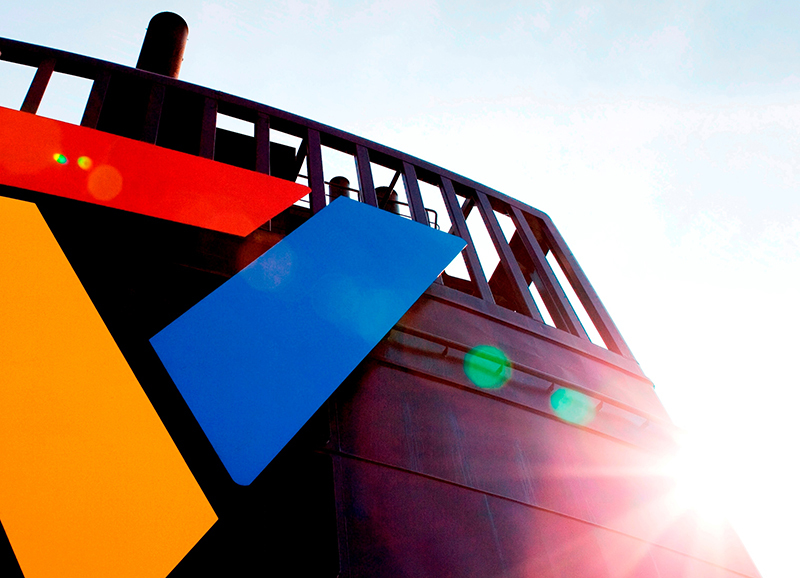 Also BC Ferries has chosen E-Dea, to have a key role in the implementation of the ACE (Automated Customer Experience) program. The core component of the ACE program is the streamlining of Booking, Ticketing and Check-in services. 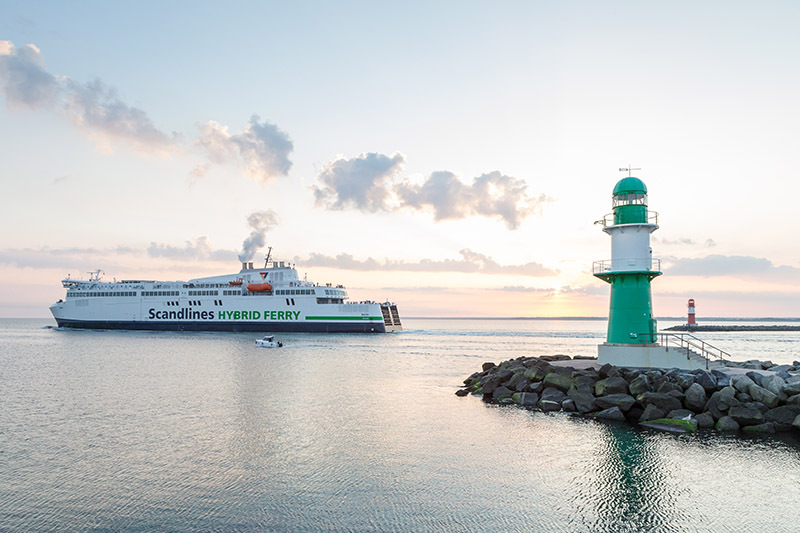 Scandlines increased revenue and boosted profitability in 2017 in line with the expectations for the year as the group’s expanded capacity on the Rostock-Gedser route was leveraged and investments dampened following a substantial strengthening of fleet and infrastructure in prior years. Total revenue grew by 4% to EUR 487 million (EUR 480 million) driven mainly by the continued positive development on the Rostock-Gedser route. Traffic machine revenue from both routes grew by 6% to EUR 352 million (EUR 333 million) on the back of expanded capacity, intensified marketing efforts and particularly strong performance in the freight segment, which recorded 12% growth in traffic volume. BorderShop revenue was stable at EUR 135 million (EUR 137 million). 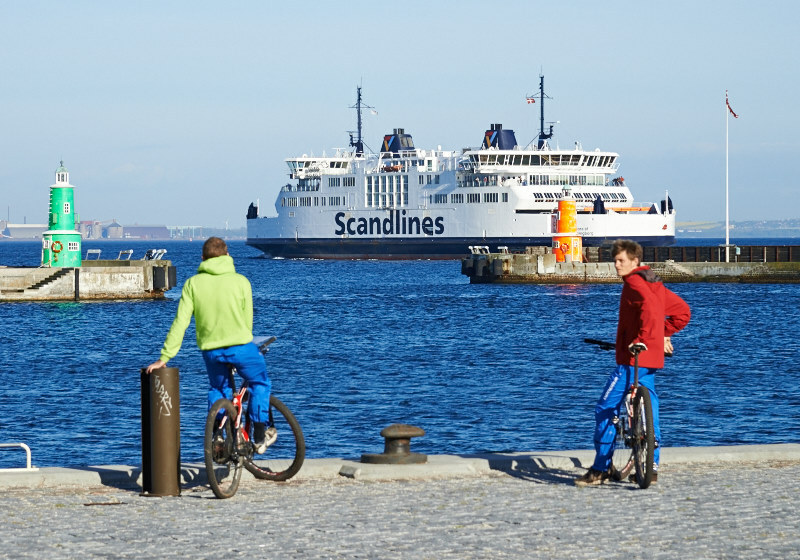 Scandlines’ ferries completed more than 42,000 departures and transported a total of 7.6 million passengers, 1.8 million cars and more than 0.6 million freight units in 2017.